License: There is no license attached to this work. You are free to use them with or without modification. Hey these icons are the best! Can you make some extra icons for night time? i.e. use a moon instead of a sun! And can I use these icons for my weather app? I'm just starting programming and I want to build something and upload them to the appstore and show them to my future employer. I will of course mention you in my app! I'll send you a link of the app once it's in the app store! Hey! Your workmit's so nice!! Can I use it in UCCW app? Absolutely the best weather icons, ever! So clean and simple. The Google News and Weather app for Android phones uses these (duh, you've named it appropriately, so of course you know that). I'm in the process of making a news and weather app myself, and now that I'm past the functionality stuff and at the point where I can start making it look pretty these are a top contender. My *only* gripe is that there are not more, i.e. icons for fog, tornado, hurricane, freezing rain, and other conditions that get returned from the Yahoo! Weather feeds (as found here: [link]). I would seriously be willing to pay you (what little I can afford) to extend the icon set. If you are at all interested let me know. In any case, bless your 666 soul for providing the PSD source files! You... are... awesome. Man, I used your icons in the Beautiful Widgets app (a user told you about it in the comments below). I just did some mods to the icons (resembling a Tron-like style), but I included you in the credits. Here you have the link btw. 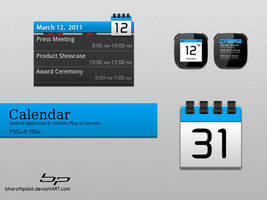 Can I use them to make a skin for for my android app : Ultimate custom clock (UCCW)? Yes please!.. you can use them.. 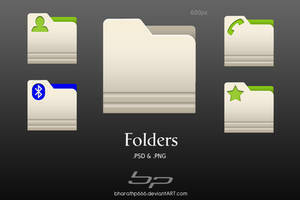 These are nice any chance of combining them into an android widget, BTW im a newbie developer. If I get any good I will *attempt* to make this into an android widget app! I not a developer.. but i'll see if i can integrate them somewhere.. These icons are amazing man, just the sort i was looking to put on my phone! Thank you! If you want to add a moon icon, that would be cool, indeed ! 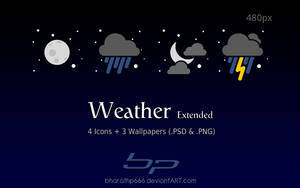 can you create a few more for night weather? thanx. Hello and thanks for sharing this with us ! Do you want me to add..? I love your work. 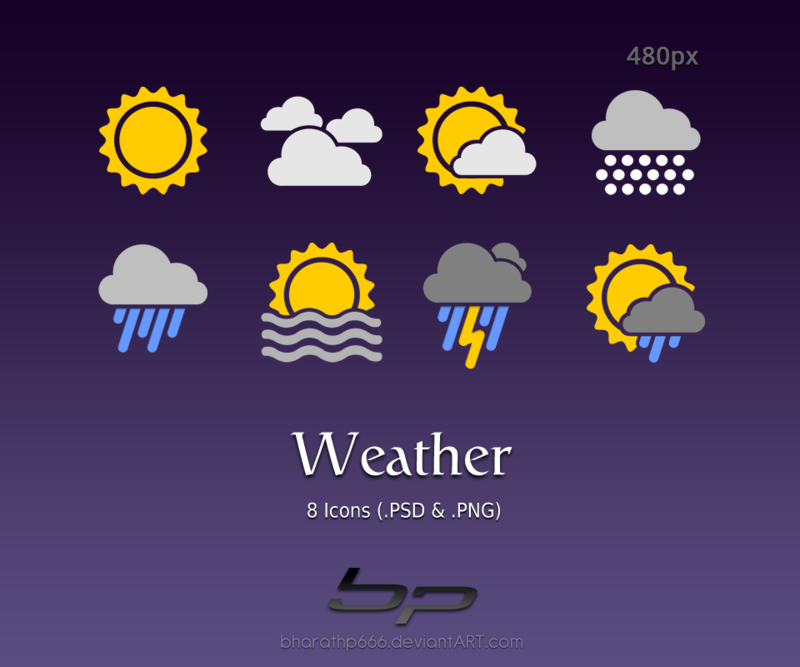 I went ahead and modified these to add some more icons to be able to create a beautiful widgets weather skin. I'm not sure if you are familiar with the app beautiful widgets or not but I would like to submit it as a skin to the developer to put it in the downloads section. I know there is no license but I just wanted to run it by you anyways to make sure everything was cool. I will note that I made a couple of modifications but I will give you the full credit for the icons. Let me know what you think. Thank you! No issues .. I'm cool with what you have to do..
Of course, glad to support your work!